Home / iPhone / How to Block a Contact on iPhone? If you are dealing with spam or just want to prevent an annoying person from calling or texting you, iOS gives you a convenient and easy solution on how to block such person. 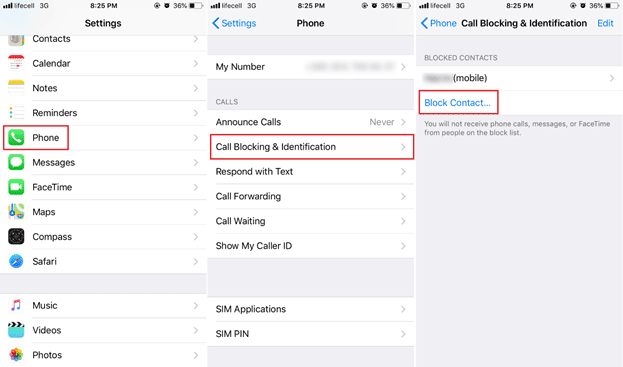 This article explains how to block a contact on iPhone, where is blocked numbers folder on iPhone, and how to block FaceTime calls and iMessage on iPhone or iPad. 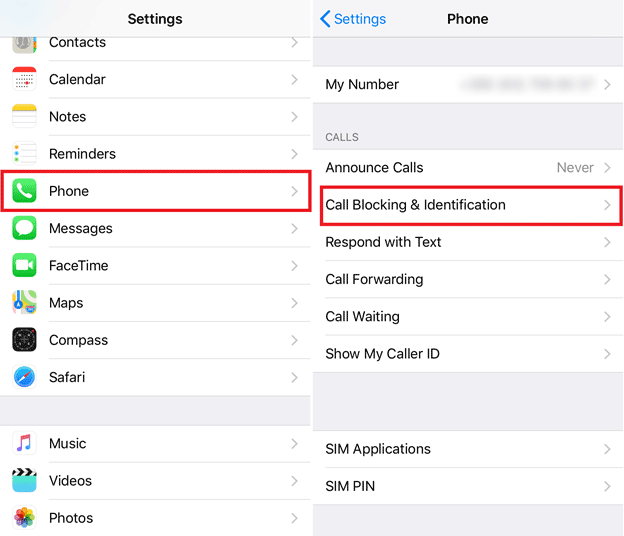 There are few ways to block contact or unknown number from calling you on iPhone or iPad. You can block specific contact or unknown number from the Recents list. Open Phone and tap on Recents tab. Select number you want to block and tap the button with the letter “i” on the right side of the screen. Scroll down and you will find Block this Caller button at the bottom. Tap it and confirm your action. iOS will warn that you won’t be able to receive calls, messages or FaceTime calls from the person you are about to block. If that is what you want to do, firmly press Block Contact and you are good to go. You can block existing contacts, to do this open Settings and go to Phone > Call Blocking and Identification. Tap Block Contact and select the contact to block. You can also block text messages on iPhone separately. Go to Settings > Messages > Blocked and press Add New. Select the contact and confirm blocking. 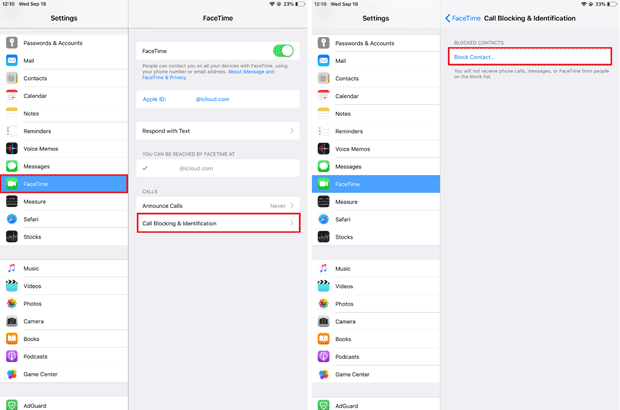 Although iOS allows you to block phone calls, FaceTime and Messages separately, blocking contact or number prevents it from reaching you in any way. 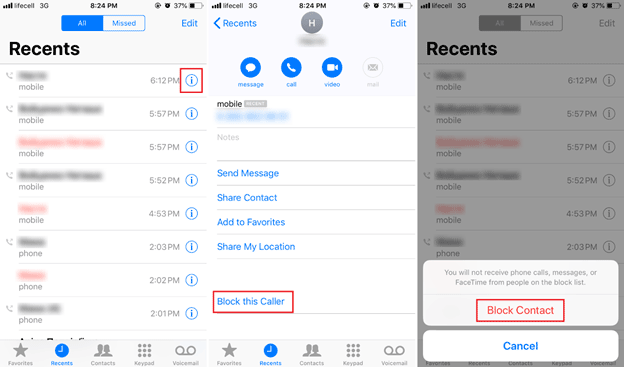 There is no way in which you can block text messages on iPhone, and at the same time allow person to call or FaceTime you from the same number. Note. There is no Phone section on tablets, so if you want to block a contact on iPad, go to Settings > FaceTime > Blocked and tap Add new. Your iPhone or iPad won’t inform people that you’ve blocked them. If they’ll try to call you after being blocked, your phone will immediately redirect them to the voicemail. After that, you will see the separate section Blocked Messages in your voicemail. 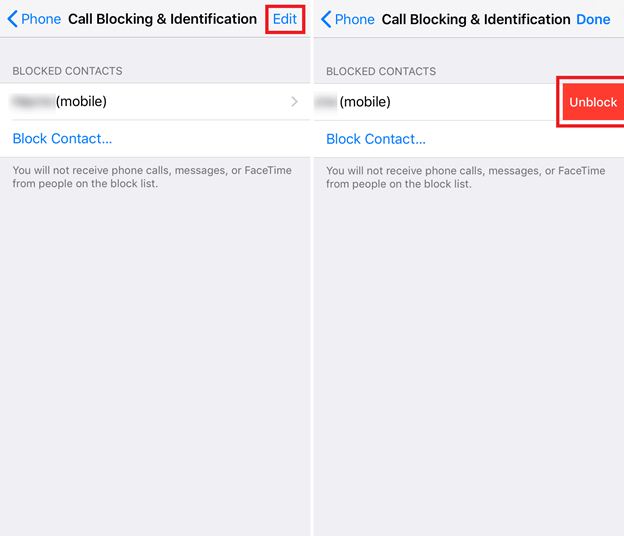 Take a note, that you still can text, call or FaceTime blocked contacts if they did not block you in the same way. Where are Blocked Numbers on iPhone? Where to Find Blocked Numbers Folder? People often change their mind, so you may decide to unblock the person after some time. To do so you should know where blocked numbers on iPhone are located. You can find them in the same section of the Settings app. You will see all your blocked contacts and numbers here. 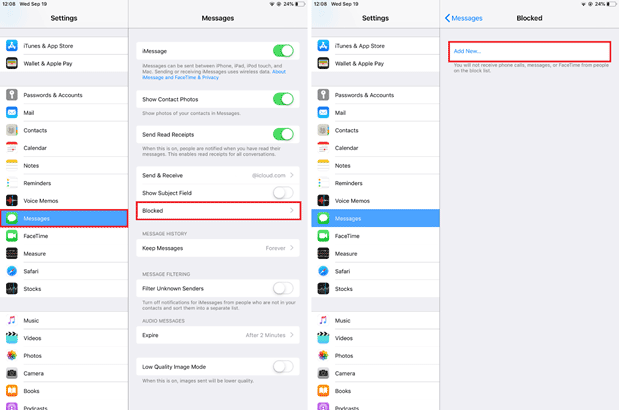 Another way to get to the blocked list of contacts on iPhone or iPad is by going to Settings > Messages > Blocked or Settings > FaceTime > Call Blocking & Identification. Tap the Edit button in the top right area of the screen and after that press red circle next to the person you want to unblock. Button Unlock will appear, and after you tap it the contact will be unblocked. Quite simple!